Since our beginning in 2004, with the help and inspiration of many people, we have met many of our goals related to green, sustainable living. We built a green addition to the 1912 farmhouse, assembled a green house, constructed our Education Center, built a beautiful hermitage, remodeled the pig barn into a honey house, and created a tree house. Renewable energy features include solar hot water, solar electric, geo-thermal heating and cooling, and wind electric from our 10Kw wind turbine. We offer tours, field trips, ecology camps and have over 6,000 visits annually. 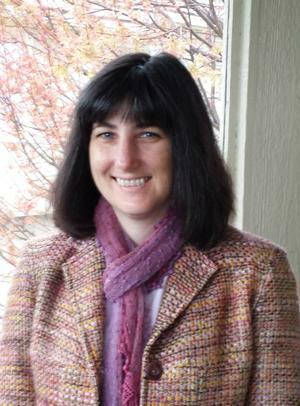 Rejane Cytacki has been named as the Executive Director of the Eco-Justice Center. She will be taking over from Interim Director Kate Kirbie on July 23. Sister Rejane, a professed member of the Sisters of Charity of Leavenworth (SCLs), holds a Master's degree in Earth Literacy and has been an environmental educator for over 10 years. Most recently, Rejane was the Assistant Campus Minister at the University of Saint Mary in Leavenworth, Kansas. She is also currently the Treasurer of Giving Voice, a member of Sisters of Earth and organizer of their national gathering, and a member of the SCL Care of Creation Committee. “I can't believe our good fortune in being able to persuade Sister Rejane to come to Wisconsin and lead the Eco-Justice Center. I am very excited over the experience and connections that she brings with her,” said Charlie Tennessen, Board Director of the Eco-Justice Center. Rejane will begin at the Center during the week of July 11, giving her an opportunity to work alongside Kate before taking over as Director. Program and Communication Director Sarah Ronnevik is the Center's other full time staff member. “I am so thrilled to be a part of the Eco-Justice Center. My passion for a long time has been teaching young people about the care of creation. This is the beginning of a fulfillment of a dream of mine to work in a ministry so connected to my passion. I am eager to be working closely with the Racine Dominicans, board members, staff, and volunteers in their outreach to the larger Racine community,” said Sister Rejane.